While Spring Training is still several weeks away, plans are already being finalized for the 2019 non-district schedule. Permian will be hosting the Aztecs from California’s Palm Desert High School on September 20 at Ratliff Stadium for Homecoming. The Aztecs were tentatively scheduled to play in Las Vegas this Fall but that fell through. 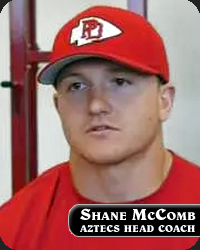 Head coach Shane McComb needed to fill the open date for Week 5. He reached out to a third party and learned that Permian also had an empty spot on their schedule the same week. The Pumas from Broward, Florida have chosen not to return to the Permian Basin a second time… after getting blown out 70-8 this past season. Contact was made between McComb and Mojo coach Jeff Ellison, and a few phone calls later, the deal has been done and the date has been set. This will not be the first time for Palm Desert to take a trip out-of-state to compete. They took a bus ride to Tucson, Arizona to play a road game against Flowing Wells this past season and won 9-7. Assisted by the notoriety from “The Book”, “The Movie”, and “The TV Series”, the Panthers have hosted more than a handful of out-of-state opponents in non-district competition. Over the years, the visitors have included: Alamogordo (New Mexico), Bethel (Spanaway, Washington), Bishop Timon (Buffalo, New York), Broken Arrow (Oklahoma), Hobbs (New Mexico), International School of Broward (Florida), and Roswell (New Mexico). This will be the first team from the Golden State to visit the West Texas turf. Palm Desert is a city nestled in the lower Californian Coachella Valley… with a scenic view of Palm Springs and nearby San Bernardino National Forest. Population of the city is about 50 thousand people, and PDHS has an enrollment of two thousand students. Amidst the sandhills, tumbleweeds, drilling rigs, and oilfield pumpjacks lies Ratliff Stadium. A stadium that has a seating of just under 20,000… and is usually near capacity, filled with ready-to-roar Mojo fans on a Friday night. The Aztecs are accustomed to playing in front of an audience one-quarter that size at around five to six thousand. This will be McComb’s fourth season at the helm. He took over for 22-year Aztecs head coach Pat Blackburn after the 2015 season. In the first season under McComb, Palm Desert suffered growing pains and went 3-7. The past two seasons have been the best two for the Aztecs in more than a decade. Champions of the Empire Desert League, they have won 19 of their last 20 regular season games. They went undefeated in district (something that hadn’t been accomplished at the school since 2005) and finished with an 11-1 record in 2018. PDHS lost 53-35 to San Gorgonio in the second round of the state playoffs. They were also Desert Valley Champions in 2017. McComb is very big on the weight room. His goal as a former linebacker is getting the kids stronger and faster. McComb’s philosophy is that the Aztecs will always win the fourth quarter that way. Palm Desert runs a smash-mouth offense. The running game and stingy defense are their calling cards. They had a 2,000-yard rusher (Jordan Garcia) this past season for the first time in school history. 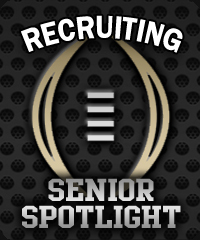 He is graduating, as well as their starting quarterback and many of the key defensive players from the 2018 team. They will be having to fill a lot of holes between now and September. Palm Desert will have Spring Workouts from May 14 to June 1. Their two-a-day workouts officially run July 30 to August 8. The Aztecs’ early plans are to fly to El Paso on September 19 and stay overnight. They will then head east by charter bus to Odessa for the game on Friday, September 20. A trip back to Southern California will follow on Saturday.